EAT, EIGHT was born out of a desire to get everyone we love working with together for the night. since this was our very first dinner party, tons of planning went towards every detail. 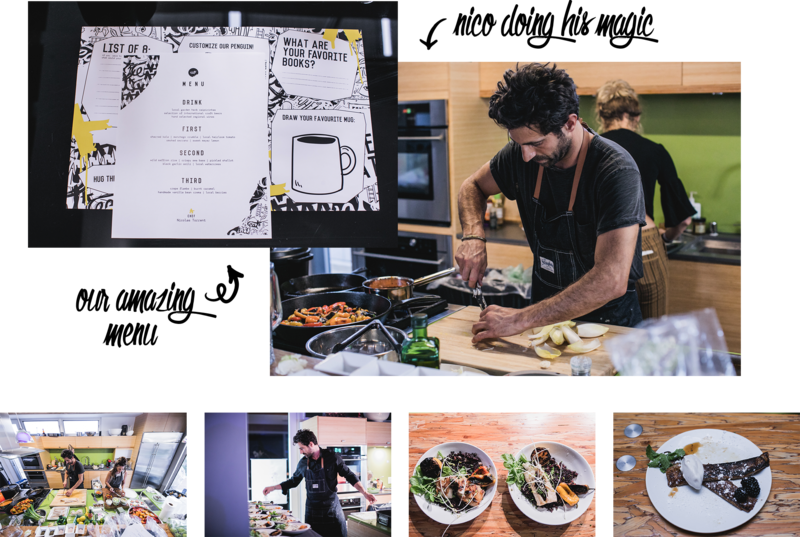 wanting to invite our clients into the various cultures of the team, we collaborated with chef Nico Torrent to make a multi-cultural menu—it managed to cover Brazil, France, Spain, Ireland, Portugal, Germany AND California. since visuals are our thing, we had a specific vision for the night, which is where our event planner, Kathryn Knox, came into play. working alongside our cultural engineer, Julie, nothing was forgotten. 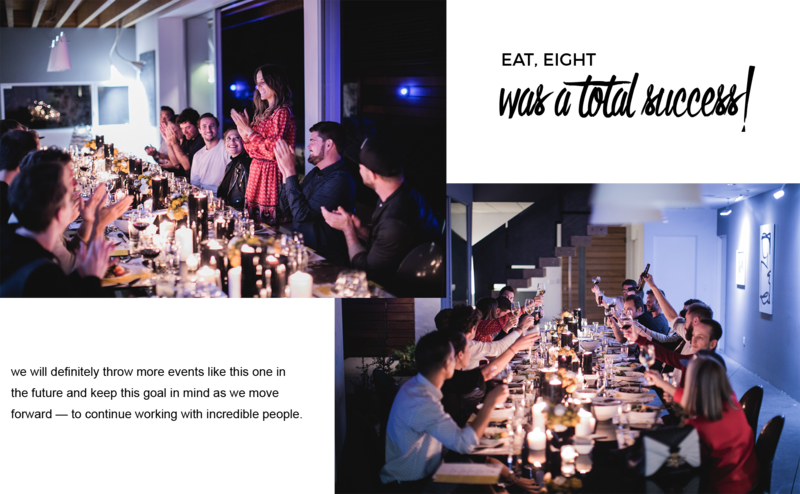 the event took place in a stunning, modern home in Venice, where a relaxed and comfortable vibe was set. 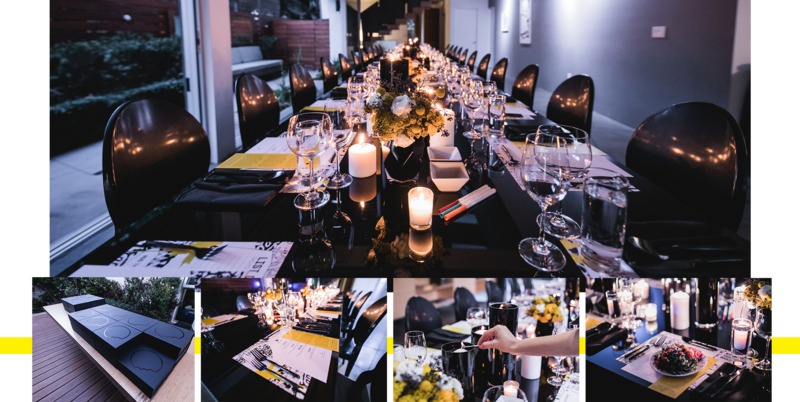 Kathryn created a beautiful table, covered in black and white candles, and simple yellow flowers. the food and drinks were delicious and opened up curiosity about where everything originated from. to add more fun to the evening, our designers created experiential placemats, where guests got to color in the EAT penguin and write out their favorite books. we love fueling good conversation around a dinner table and that is exactly what happened. 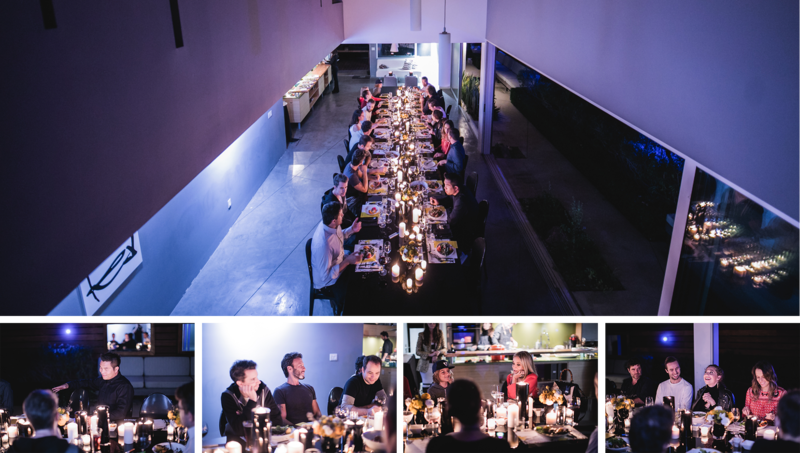 with everyone channeling their inner artist, as the wine and food flowed, the night unfolded in perfect rhythm. we laughed, we told stories and we left pretty full. our clients really got to know each other on a deeper level, which is one of the main reasons we wanted this night to happen. we love connecting talented people, just as much as we love using our creativity to help brands. the night finished with a special gift box, kind of like a goodie bag when you were a kid, but instead of candy and toys, meaningful items were found inside.